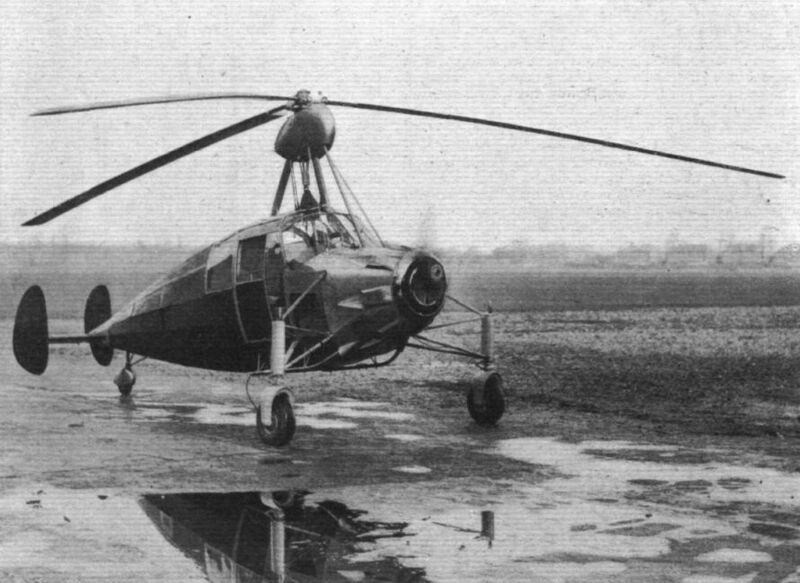 SIDE-BY-SIDE AUTOGIRO SEATING: It is now possible to publish a photograph of the Westland-Lepere Autogiro, which is of the direct-control type and has a very wide wheel track to ensure stability on the ground. The engine is a 90 h.p. Pobjoy Niagara. The large expanse of transparent covering gives an excellent view from the cabin.